A Halls Gap couple has renewed talk of big cats existing in the Grampians after a sighting earlier this year. The couple, who wish to rename anonymous, saw the big cat on their way home to Halls Gap after dining at Barney's Tavern in Pomonal. The sighting occurred during daylight savings in mid-March, with both having a clear view of the cat. "We were driving home from Barneys at about 6.30pm and saw a figure 150 metres in the distance," they said. "It was crossing the road near Grampians Vineyard with a rabbit in its mouth. We didn't know what it was at first, because it was the size of our Labrador. We thought at first it could have been a dog, but as we got closer, we realised it was a big cat." The cat was reported to be about three feet tall. "We pulled up about one and a half metres away from the cat so we could have a good look," the couple said. "It took off into the bushes, but we could see it clearly, with the rabbit still in its mouth. It wasn't a small rabbit either. "When it took off, it was bounding or galloping along. Our initial response was disbelief that we had seen a cat that big." The couple phoned Big Cats Australia to report the sighting and the organisation agreed it would send out personnel to investigate. Big Cats Australia advised they were aware big cats existed in the Grampians and were eager to take a look for themselves, as well as hear of any other sightings by residents. "Initially they wanted us to take them to the extact spot we saw the big, but apparently they came up and had a look themselves and didn't contact us," the couple said. "They know the cats are in the Grampians, they're just not sure what type of cat they are." A similar sighting occurred earlier in the year with a resident stopping his vehicle after seeing an emu at full stretch running along a fenceline. When he looked behind the emu, he saw a big cat giving chase. "I don't think he believed it at first, but he stopped the tractor, had a good look and it was definitely a big cat," the couple said. 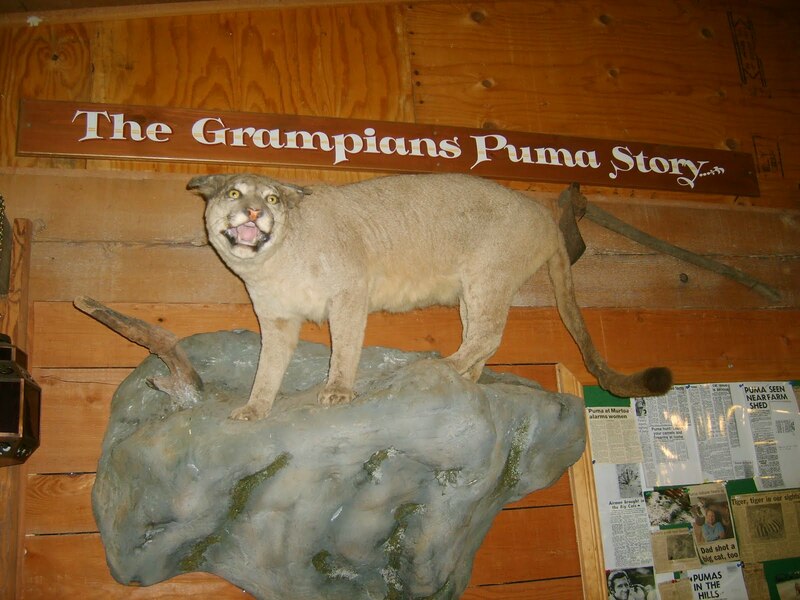 The big cat sightings have certainly sparked talk once again and follow rumours of pumas existing in the Grampians.